The Florida Wayne Band stopped into the Underground by Round Guys Brewing Company to be on the Original Slacker Podcast! What a great show! The Florida Wayne Band tells us how Florida Wayne got his name, truth in advertising from the makers of Guitar Hero, and how to build a band from a hodgepodge collection of Open Mic rift-raft! Subscribe to the Original Slacker Podcast wherever great podcasts are found! The Original Slacker Podcast is presented by Round Guys Brewing Company. More information for Round Guys Brewing Company can be found at RoundGuysBrewery.com. Please find out more information on the bird sounds at the end from this link ->http://soundbible.com/1515-Best-Cardinal-Bird.html. Speaker 2:1:04So the original soccer podcast, Music Mash Tun today I have with me Florida. 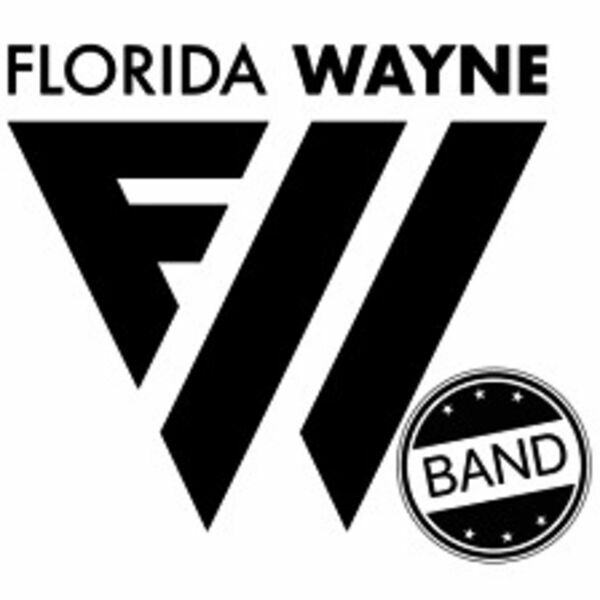 Wayne is Florida Wayne Band, Florida wave band. Got Florida Wayne. We Got Rob Palette and Steve William Johnson, William Johnson on drums. We got rob held on base and Florida. Wayne on guitar and songwriting. Any. You guys partied, taken a song writing or is it just you? Speaker 3:1:24Not yet right now it's on the primary writer. Repelled so helps out a little bit. Yeah. I helped out in the studio. Big this on this last single. So he brings up some good ideas. Sometimes he brings the trucks to us and um, me and rob and seemed to just figure out what needs to fill it out. Right. It's a lot easier for us. I feel to come in after the fact. How'd you guys all meet? Open mic. Open mics open. Mike Steele. City house percussion for steel city. Open mic. Phoenixville? Yeah. Uh, just do backline for whoever wants it. I can just like rhythm so I can just fill in this guy. I thought he didn't like me the first time on that because you just like, I dunno, like you would approach me and then it just didn't seem like it'd be like, Oh yeah, you're like my best friend. Like, hey, it was just like, you want to play with me, play a song. We'll see how it goes to like a year later and nothing ever done an interview. Right now the title is that how you usually find band mates? Just go to and be like, hey, hey you, you get over here? Speaker 3:3:00just easy. I said if we can add somebody else, it just has to be this easy or we're not doing it right now. It was like a consensus because it's just like once we started playing together and we were like, alright cool. And we just, we never really had to say anything. It just became, I don't try to play that. I don't try to play their instruments, you know, I don't, I'm not because I'm self taught. Um, and I'll and early on I didn't even know what chords were, so I was watching people play so I would learn chords by watching. So I didn't even know if somebody said play a g chord. I didn't, I wouldn't know how to play it all the time and so and so. So I couldn't. So I couldn't read music. So I started writing and so that's what led into me writing. Speaker 3:3:41I wasn't, I wasn't able to look at a piece of paper and go, I can write, I can play this cover song. And so I would start with the chords that I knew in my head based on finger positioning, start writing stuff. And I haven't stopped writing. And because I'm, I think because I'm self taught it opens, it lets me lean on their strengths. And so they listened to what I've created and add to that and that's what, that's what I say, it gives it legs, you know, I feel like because you create the music organically from a police like that where you weren't trained and you're learning, I feel like that adds to the organicness of it because then we're also doing the same thing to try to create in the same space and mindset that you created the music and right from watching and then trying to write it with the finger position. Speaker 3:4:29So we're, we're coming in like we didn't really know and then we're like looking at it the same way that you kind of looked at like that kind of adds to the organic from all this. You're not handing us papers and things written down. No, we're just, we're listening to music together. We're creating together. And so I think you just have a really good ability of like writing music and being able to convey what you're trying to get past. And if you guys are meeting up in open mics and kind of doing your jam session, Stereo practice sessions there, that's, that's pretty much all improv. It is all this. Yeah. I don't think I've ever played the same thing like more than once during any of our songs. It's really nice being able to just Kinda feel it out and uh, like experiment. Like we have a structure, right? Speaker 4:5:59you're creating your own blueprint to do that. Foundation that's already started. Speaker 3:6:03I think a lot of our fans, they see that when we play live though, I feel like they feel that they feel that organic nature every time because they know like when when they watch us, they're not getting a regurgitation of the recent show they watched. It could be something different, which to me, that's always great. I love going to a live show and not listening to the album. I want to see something, a reason to go through a live show as a seed of musicians do their art to have fun with it. Right. That's what we want to see. If I want to see an album, I'll just buy the CD. Right, exactly. Oh, downloaded music. There was a musician. I remember his name at the moment. He was saying that I'm real musicians, like the real famous, like the ones that always performed the same songs over and over again. I say overtime they'll end up just changing the song entirely to be the way that they wanted it to originally be. That said they'll change it, so every time you go to a live performance you're actually hearing closer and closer to what they wanted. Right. And so it's always different in certain genres. You don't have the opportunity for a metaphor or something that pretty much by the book generally freestyle, even people really notice, do they do? Speaker 4:7:07Yeah. We've always talked about, not us, but other musician, other bands that I've been in, I've talked about. It's almost better to record something after you toward it because it changes so much and the best part of it is when, when you're done, when you're closer to the end of, you know, after you've played it for a year, you know, you play something for a year, that's where you've really tightened everything up and you have it. Exactly. You know, it's like finishing a painting. You know, you a painter will tell you he's never finished. Speaker 3:7:38There's always, you can go in and change and fix, but the more time you spend with it, the more time that you spent a that live by that end of that year, you pretty much could do the song in your head like in your sleep. And then when do you know it's ready to be released? When I remember the words, he doesn't forget them. Yeah, I can see that being an issue. Just make it up as you go. Right. Speaker 4:8:03We still, I still forget the words of songs we've been playing for. I mean, some of these songs I've been playing for four years before, before they came along. So we're human. We all make us. We're um, our set list is, goes back years, you know, so, um, it's a mix of, it's the Florida Wayne Band, which is Florida. Wayne was a stage name that I picked up in 98, so that's how long I've been playing. So we've got a mix of originals from, from basically probably the early two thousands to currently, like end of the end of the world is a brand new song. Speaker 3:9:06So you start playing music in [inaudible] 98 and you were self taught, you know, you guys, school educated. Do you guys plan on your own? Just learn, pick up a guitar, pickup drums. I started playing music when I was in kindergarten. I started taking piano lessons until, uh, my piano teacher started chewing gum in my ear and uh, eating brownies at the piano and I decided I don't want her around me anymore. So, uh, I decided to stop playing piano and drums. The breath chewing. It was definitely the breath. I think that's partially why she felt like a chewing gum and she would always yell at me for doing the same thing. She'd be like, spit that out. Of course she was a, it was a Catholic, I say not as I do. Yeah, yeah, exactly. I was a, I was a Catholic school student all through high school and so she was very strict and you know, I wasn't, I wasn't feeling it. Speaker 3:10:06So in sixth grade I got my first guitar and started playing. But um, but yeah, uh, just kind of, I took lessons with guitar for two years and then the rest I kind of just figured it out as I went and playing with other people, learning things from them, a kind of broaden my horizons a bit musically. So my path is very strange. It's a very interesting situation. I did not choose the drums. That's something that I like is involved back alleys. This is not a backup. Trust me when this is a weird, you're never going to have somebody to sit down and tell you this. So I was probably about like 15 and eight. One of the plagues, I love Jimmy Hendrix. I'm lefthanded. I like, he's my idol, right? I want to play guitar. Took Guitar Lessons, guitar teacher smelled like garbage and like, it's really literally just didn't. Speaker 3:11:01He would just, he would just sit there and just be like, experience of lessons really means a lot to my periphery experiences. It's like the first guitar lesson, he was just like, alright man, so I'm gonna show you what to do right? And you're just like, all right, so check this out. And he would just shred, you're like five minutes and in the wind would hit and he was like, all right, so we're going to learn to pentatonic scale today, so go home and play this Pentatonic scale like 20 times and then come back and then we're going to maybe work on the major scale, but I'm going to shred 20 to 30 percent of this look I can do. Look what I can do. I was like, alright, I'm not playing the guitar. My mom was like, why aren't you applying? I'm like, why would I want to so I can wash them under guy shred like I want to. Speaker 3:11:39So I was kind of left with like a desire to Kinda like make music. But again it was never thought of myself to be a musician. Played a video game called guitar hero for like never heard of it, never heard of it. I was like, what is the game? Rock was actually rock band. So it was a Gamer and so I played rock band, like regular video game. You like you hit these buttons at these times. So I'm looking at this drum set that came with it. I'm like Oh red is this and yellow and blue and green just like I treated it like a game. So I started on medium and then move on with a heart and then I beat it an expert in a month and then like three years later it was like the top guitar hero drummer in the world. I had no guitar, no lessons for drums really, but I just played it top on top of her while I have you get to channel legs like Pistons, Y'all can find that on youtube like 200,000 views on some videos, 100,000 dollars. Speaker 3:12:22Like I have articles written about me when I was you about that beforehand. Right. And I was like, I have videos like all over the internet, but it was just because like I treated it like the call of duty. Yeah. Like some, some people will just play call of duty for like 10, 12 hours straight. I was playing guitar for 10, 12 hours. So like three years later I like learned how to play an instrument because I played a video game way too much, never owned a drum set and never took a lesson. I went to a music store, I played drums in the music store and the guitar teacher who taught heard me play the drums and said he wanted me to replace this drummer for his open jam and Bristol Pa. So the first Gig I ever had as a drummer was a paying gig at a bar for two years. Speaker 3:12:59I'd never. And the drums all from playing video, sorry, I still didn't under drum set. So I stopped doing this open jam because I moved out here, still didn't have a drum set. So I took some of the money I had. I found the Ludwig eight or six piece with seven symbols for $300 on craigslist. Had no hardware, picked it up. Someone gave me the hardware for free, didn't even play the kit because I had nowhere to play it. So I owned a kit, didn't play it, got paid to play. I moved out here. No one knew who I was. I still didn't play for a full year, randomly came across chaplains music, cto and it brought me back, put me, put me in the music industry, and then it was like, all right, I guess it's time to actually learn how to play. So I went to go take a drum lesson. Speaker 3:13:40The drum teacher was like, why are you here? And so then at that point I was like, okay, I got it inside. Well, three years running now I've been, I can't even explain the champion of guitar hero, right? It's like, this is not the time, just give me the kit. So I was like, so I just went out and I was like, all, I guess I'll invest in myself. So I bought electronic drum set and a practice pad and I've been practicing for our straight each day for the last two years straight. And uh, what were some of the transitions you have from video game world to real world? I stopped playing guitar here and then that real world smacked me in the face real hard because nobody knew who I was and girls would not talk to me like I was like, Oh man, how do I give back to this? Speaker 3:14:19I think this rockstar status, so there the transition was just like I had an opportunity just out of curiosity, why didn't how much did guitar hero or to fit video game from you for real world? One hundred percent it that period of my life in it because I would assume you're going to learn the basics where you can learn musically to Aronson and you're going to learn to get. You're going to learn music theory just by playing, by playing, but the thing was like I was exposed to songs that are mastercraft already and so by watching the video game character hit certain in certain parts of the drum set. During the time I was learning what a high hat is, what a snare is that a ride is based on the video game identifying it. That's. That's really cool. You know what I mean? Somebody I would like to ask my dad to take me to guitar center so I could play on the drum sets there because I'd never had the opportunity to play a drum set except for the video game. Speaker 3:15:09So it was, uh, it was, uh, it was a weird transition going from electronic kit to it acoustic kit that took years for five years. I just played an electronic drum set and never played a drum set in my life and then it just hits way differently. And so I felt like I had no idea how to actually play the drums. But then I realized I just needed to be a transition period, like you said about Steve. That's a heck of a story. Yeah, you're right. That's a very unique story. I would have not guessed that. Yeah. I didn't learn anything from Sega Genesis Guitar at all. Well, they had what? They had a Steve Walsh football or whatever. Right. That help you at all? I think I was playing sonic the hedgehog and um, some mortal Kombat, but I'll tell you, look back when I was learning called dad does not teach you how to fire a gun shooting range once. Speaker 1:16:45Thirty Minute Guitar Heroes Sessions. Speaker 4:17:55guitar and then if you have, if you have to answer, it's not really. So here's wonder wall. But when I got, when I got out of high school, I joined the military, I got married and started playing and I, like I said, I was watching other guys play a hung out with a lot of people that played music and so I would watch them play, like I said, just create your own because you can't play a whole song. I didn't even understand, you know, early on how the structure of the songs were, you know, I just started writing so I would write verses and choruses and then I learned there's this thing called bridge, you know, oh, that's what that piece is called. Part is the drummer. And um, how long did that take? How long did it take you to fully feel that you are confident in process? Speaker 4:18:39Because I'm sure along the way you're like, oh, I got this. And you're like, well you go through, you go through phases. I think I'm one of the thing I didn't want to do is, is perfect my craft before I would go out. Because then you would never leave. You never leave your house. You know, you wouldn't because you're never good enough. Even even as, as well as we play together, we're, we're always looking to be better. And if we, if we only wait for that, perfection will never get out and play endless journey is just say that you've reached your destination is full, like it's, it's foolish. Right. So as soon as I had a handful of songs and once I learned how to read music and um, I started out playing coffee houses and just with a binder and you know, and your background, your background music and you, I would, I would mix my originals that I had written with, with covers and I'd play three hours at a coffee house, you know, once or twice a month. Speaker 4:22:23every song is a is a story in and of itself and every. Most of my songs are written from life. My own life, you know, different. It's either struggle based love based, faith based piece, you know, it's, a lot of it just comes from my inner, either my inner battles or my inner victories. And so a lot of times the, it comes out in my lyric. Speaker 2:23:46promote the music is a factor of who makes it. Right and this is, this is you're not just talking about any kind of a spiritual process and they're like, we're. When you're making your lyrics, you're doing it in a way that you're trying to connect with the person out there and trying to expose part of yourself to, to whoever's listening and it just is hell's coming out. Right. So it's not that I wouldn't assume that anyone has any kind of overt agenda or whatever. Speaker 4:24:22Music. I think it's because there is no agenda. There is. Um, it's just, like I said, it's comes from my, it's the lyrics or is their personal there, it's just, it's, it's giving us, giving a window into my soul or giving a window into the way I see things, you know, and, and I don't ever like to get into. Well this song is about this because I like, I like to ride in a way where it means something different to somebody else. And it's smart. It's really smart. Yeah. And so they can gravitate to. And I've heard people's stories like this song means this to me because of this, you know? And, and, and that's what I want. I want people to have their own, their own take on the song, their own story through my, through my words. Speaker 2:25:13Right. So today on this show, you perform together and you perform thorn. You want to tell me anything about those salts? Speaker 2:26:15the original soccer podcasts. Wade, where can people find out more about where you guys are playing your sound? Where can they find about what you do? Speaker 4:26:23Shows are the best place to find us is on facebook, Florida, Wayne Ban. You can also go to Florida, Wayne Dot com, where I post all of our shows. You can also find us at reverb nation. Excellent. Well, thank you guys for coming down to the underground on this cold Saturday. Thank you. Speaker 2:27:08Yeah, with another great episode of the original stack or podcasts. I have Rocco to sound guys sitting here with me up this episode like we always do. It gets me really pumped to have great musicians, great stories in here. It's really fun to listen to these guys just to talk with them. A Elsa gets me really pumped to drink beer and that's what I'm doing right now. Chicken, some venom radio, so as you know, the renewal cycle podcast is presented by round guys bearing company. We have three locations. We have our blue publication and Lance, they'll cross the street, we have the underground, which is the lower level of four west main street and we have the glenside spot. Uh, I don't know, to the underground is a pretty cool, pretty cool space. We get such great shows in here, do private parties. We do a lot of cool things in here. Speaker 2:27:53Yeah, it's a really great, great spot to come down and see a show, you know, all the shows that I've done other sound wise or witness down here at Penn had been a really good time. Sounds great. Good people. Good talented bands. Yeah, we, I've really liked the acts. We get a Ryan or promoter. He does a great job of bringing in some great acts. I know one of my favorite acts, spirit of the bear was just in here again for the third time, which is probably tied with any ben since we opened in 2017, maybe fourth time. Third time I think. And so cool to have those guys in here, this they put on a great show and everyone's always revved up for it. It's just we kept really good music in here. I love it. I love, we get really good accent. You know, all of the shows we get through here are phenomenal. Speaker 2:28:35Yeah. I have a tie for my favorite too right now. The interview we just did today, Florida, Wayne and the and relay hambone relay was through different types of music. But man, these guys, both of them really, they really killed it. The hambone relay just that was incredible. That's. But that's my kind of. That's why I love this. I know you're a jam fancy. That kind of fits the bill, you know, that kind of new master sound character. And the program was fun. You missed that one. That was, wasn't, that was a really good time. Too Bad. We didn't record that pocket. Sorry. Sorry guys. But the uh, the two hours of tapes that they did shaking the floor upstairs was pretty, pretty wild. That's great. Wish I was here for a day. They'll see them at the company party probably. So yeah, bring your earplugs. Speaker 2:29:17I won't do that. The last thing I would just want to tell you guys about, since we do make beer, we make really good beer. Chicken phenom radio. This is like a gold colored beer. Why? Head know it's. It's got a lot of tasty, tasty hop resonate character too. It's a double IPA based on a song from. Who Was it? It was the national basis. All from national. Thank you. I'm it. You're enjoying it, Rocco? Yeah, absolutely. Now what kind of beers usually drink a lager fan biker guy. So you like it. Just an easy drinking beer at the end of the day. Crack it open to sit down, relax, get nice little balls on life is good. Loggers are great and there's definitely a role for it. Uh, I, I find that the best thing I do a lot of biking in. One of the things I like is his shower beer has to be kind of transmission, which is our house Ipa. Speaker 2:30:08Sincere good one. That's a great shower. Beer after a long bike ride, you know, and you have a shower up to 100 degrees, scolding yourself and you're drinking that beer. It's awesome. That's great. It's a transformative experience for anyone who hasn't done that. There's a lot of really good beers down here. I mean I, I enjoy all the ones that I get the sample down here and you guys have definitely opened my eyes to the world of Craft Beers led to here and actually Florida Wayne came down because the guy, I think Wayne was saying they have craft beer. Perfect. This is what I like. I like music and craft beer, so when. Thank everyone for listening to this episode of podcast. We'll see you again. Next episode. You can find us on facebook.com/the original slacker. Any podcasting application, apple, Google music or do? I'm sorry? Apple podcasts. Google play, stitcher, spotify, Pandora, anywhere. I think we're good. Speaker 1:31:00I'm not sure, but anywhere. So just keep listening. Just shout out. Thank you. Loud. Speaker 6:34:44I tell you what, I grew up in the eighties and it was all hair metal and it was all like, you know, and I couldn't do that. Are you sure? Because you just didn't know. Now I can do. I can do it. I can do it better. Now. Here's a song like that.